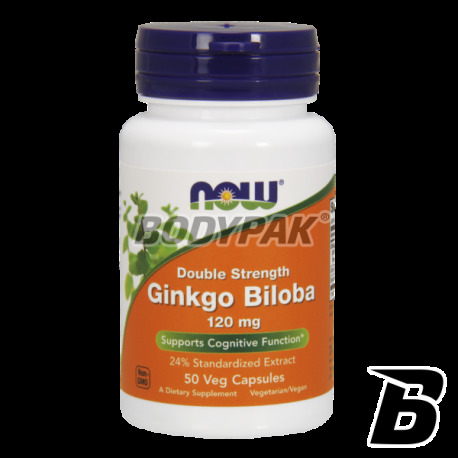 Health & BeautyNOW Foods Ginkgo Biloba - 50 kaps. Extract from Uncaria tomentosa (Cat's Claw) has a very strong increase general immunity by stimulating the processes of phagocytosis (the process of absorption by cells of the immune system of abnormal cells in the body). Highest quality coenzyme Q10 in a very high dose - 100mg per serving! Convenience supplementation through capsules of "softgel". Very powerful antioxidant that supports the proper functioning of the body. Cranberries in supplement form? Why not! In each capsule you will find up to 220mg of highly concentrated extract! Easy-to-swallow capsules make each subsequent portion will be happy. Potent antioxidant action! The extract from the leaves of the olive tree in the form of a supplement? Why not! It supports the immune system, has a strong antioxidant properties. High standardization of oleuropein in each capsule!